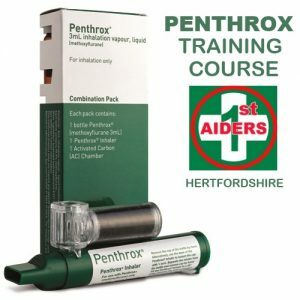 1stAiders is regulated and approved by the Association of First Aiders - Training at its best - for life! We specialise in first aid training in relation to the HSE Health & Safety (First Aid) Regulations 1981 including FAW refresher qualifications. EFAW, FAW First Aid at Work Courses. 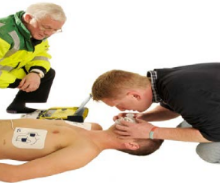 1stAiders also deliver dog first aid courses and bespoke First Aid courses specifically designed to suit the client. We combine theoretical knowledge with practical events that are designed to promote student ability as well as practical confidence. We embed a mixture of fun and hands-on team exercises without diluting the serious aspect of learning. 1st Aiders are totally committed to providing top quality First Aid training at low cost, including bespoke first aid courses Paediatric baby and toddler first aid for parents and carers. Emergency event first aid training. EFAW, FAW Refresher First Aid Courses. and even Pet First Aid. We now offer the regulated, OfQual accredted Level 2 Canine First Aid with formal qualification. Member of the Association of First Aiders. Level 2 Association of First Aiders Dogsafe UK Canine first aid course. Previous areas include: Colney Heath, St.Albans, Newark, Newbury, High Wycombe, Royston, Chippenham, East Gostcote, Leicester, Swineshead, Bedford, Manningtree, Essex, Snodland Kent, Brogborough, Milton Keynes, Bishop's Stortford, , St.Austell, Cornwall, Chesterfield, Norfolk, Derbyshire, Worcester, ....and we're coming your way soon! I investved my Sunday morning in this dog first aid course. It was entertaining but serious without any boring presentations and flip things. They promised hands-on, we got hands-on. They promised realistic wounds, we got them and more. Thank you so much for the excellent afternoon last Sunday. I have attended many first aid/ health and safety courses and I can honestly say this was the best. My partner and I attended a baby and toddler first aid course in Newbury, run by Peter and great hospitality by Sue. We came away with two important lessons about CPR and Choking, both by using really useful training aids and manequins. Peter has a very unique teaching method that feels more like a friendly get together, Top marks from us. The Leicester cat and dog first aid course was fantastic.Peter & Sue put so much work into running the course from warm hosptality, copius drinks and chocolate biscuits to great fun delivering practical emergency first aid.